Mayor Thomas McNamara is the 41st mayor to lead the City of Rockford. Born and raised in Rockford, Tom has always been a strong advocate for the region with a firm belief in the importance of community service. In 2013, Tom became Rockford’s 3rd Ward Alderman, representing constituents on Rockford’s east and west sides, as well as downtown. As Alderman, Tom introduced and sponsored key legislation to invest in neighborhoods, make our community safer, and protect taxpayer dollars. In his role as Mayor, Tom focuses on developing and implementing plans to reduce crime, increase police technology and training, strengthen neighborhoods and schools, and encourage economic development. Mayor McNamara is actively involved in the community. He is the past president of the Ignite Young Professionals and vice president of the Signal Hill Neighborhood Associations. He previously served as Co-Chair of Money Smart Week. He serves on the Midtown Advisory Council for United Way of Rockford River Valley. He is a Strategy Team Member for Next Rockford and a member of the Engagement Team for Transform Rockford. Tom is a graduate of Rockford’s Boylan Catholic High School. 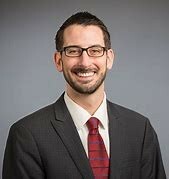 He earned a bachelor of science degree in sociology and criminology and a master’s degree in non-profit administration, both from John Carroll University in Cleveland.